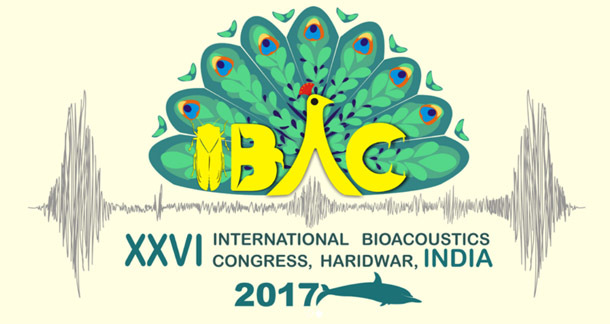 The International Bioacoustics Congress is a premier gathering for researchers into the sounds of the natural world. This year it is being held in Haridwar in India, at the foot of the Himalayas on the banks of the sacred river Ganges. The intention is to promote international participation throughout the entire field of bioacoustical activity. The subject of bioacoustics is principally a marriage between the fields of biology and physical acoustics. Given its multidisciplinary nature, IBAC aims to bring together, in informal settings, biologists from different specialisations (ethologists, physiologists, taxonomists, etc.) with engineers, sound archivists and amateur sound recordists, to foster discussion and exchange of ideas. Early bird registration is now open, and the early bird standard fee is €140, while the student fee is €70. Any questions should be directed to the local organising committee at indiaibac2017@gmail.com.